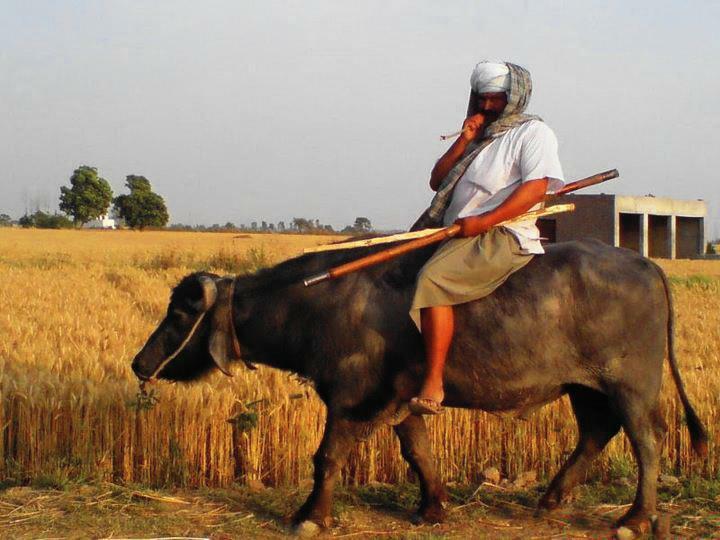 Villagers mostly prefer sleeping on a charpoy in the open. 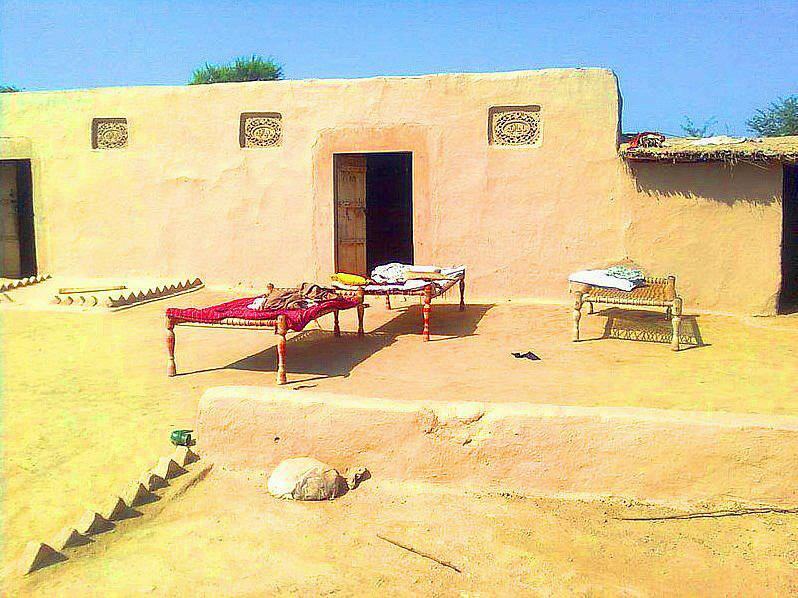 Here in the courtyard of a village home, the manjis with khes, bedsheet and pillows still can be seen lying in the open. After the men or women of the family are free from making/taking breakfast, the manjis will either be removed inside the house or will be stacked along the walls. Autumn scene captured through lens of the photographer. I do not know whether this image has been photoshopped. If not, the shot is superb. If photoshopped, even then the view here is simply amazing. 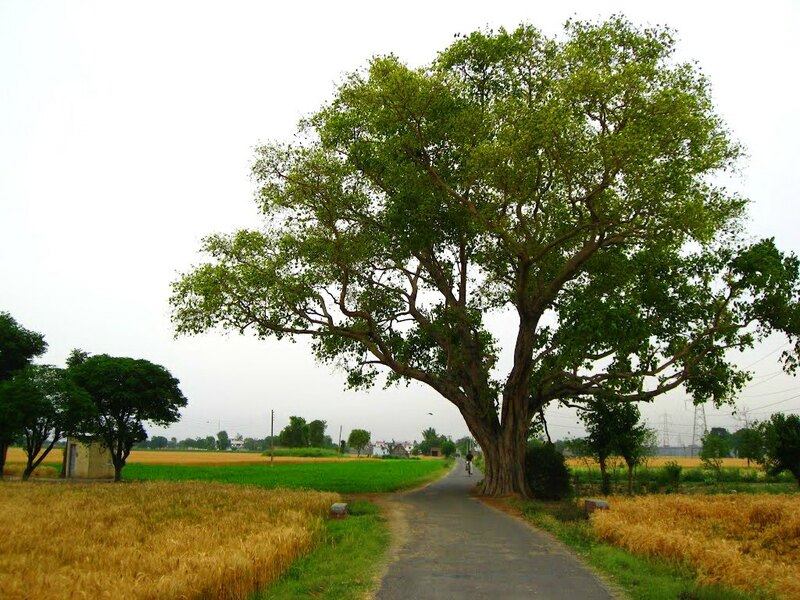 I LOVE such big cool leafy trees along the road to a distant, unknown village. Don’t you? 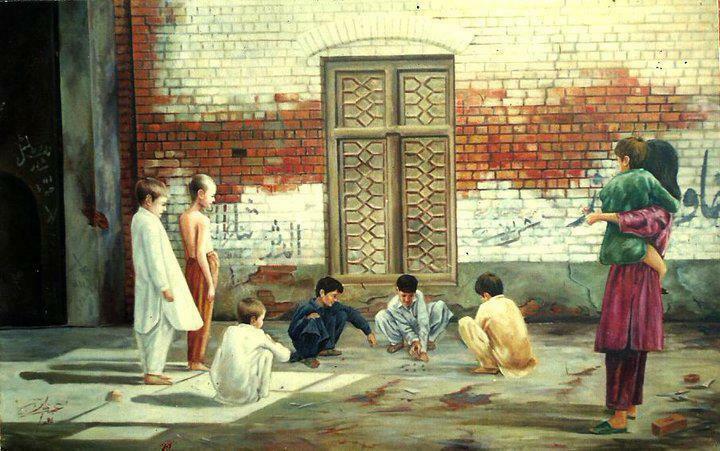 Children playing marbles outside their home.. The Vill—Trail. 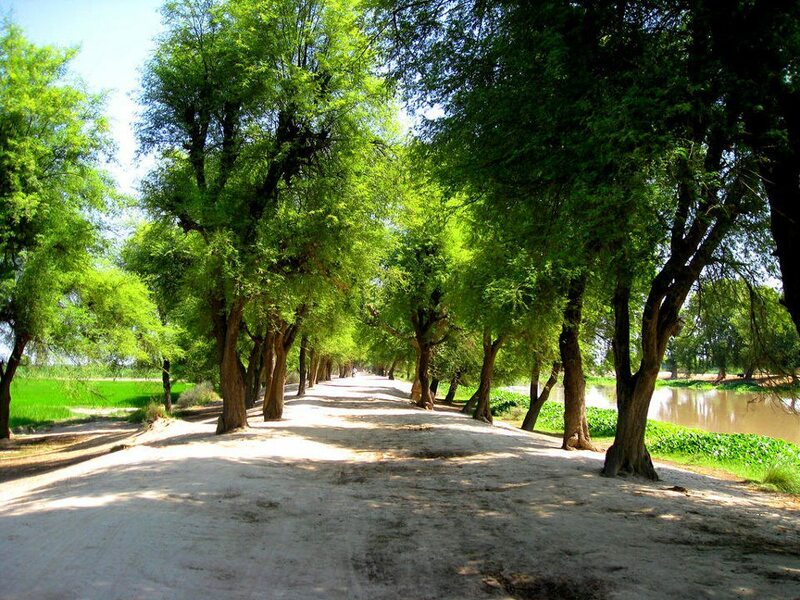 The tree bedecked (unpaved) way leading to a village. 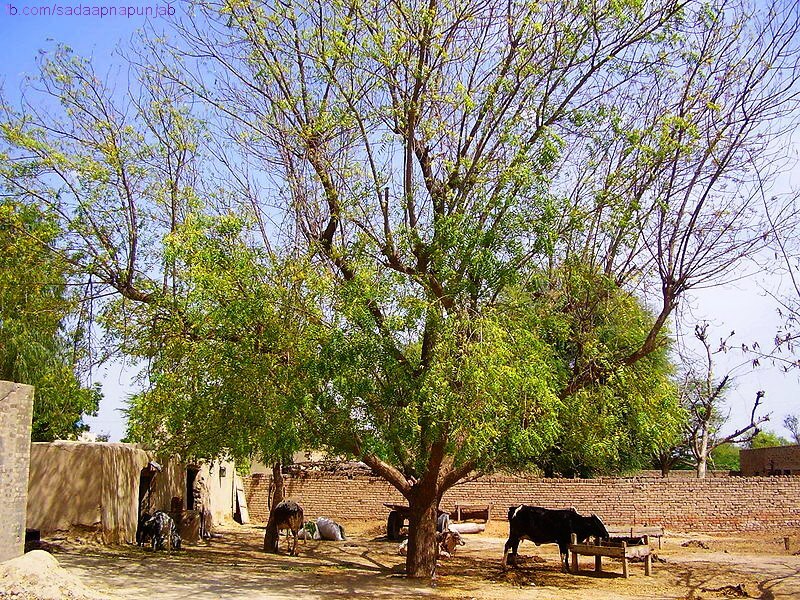 The village is a panorama of the charming scenes of nature. The coming and going of seasons imparts a profound effect on the village life as it adds a divine touch into human mind. 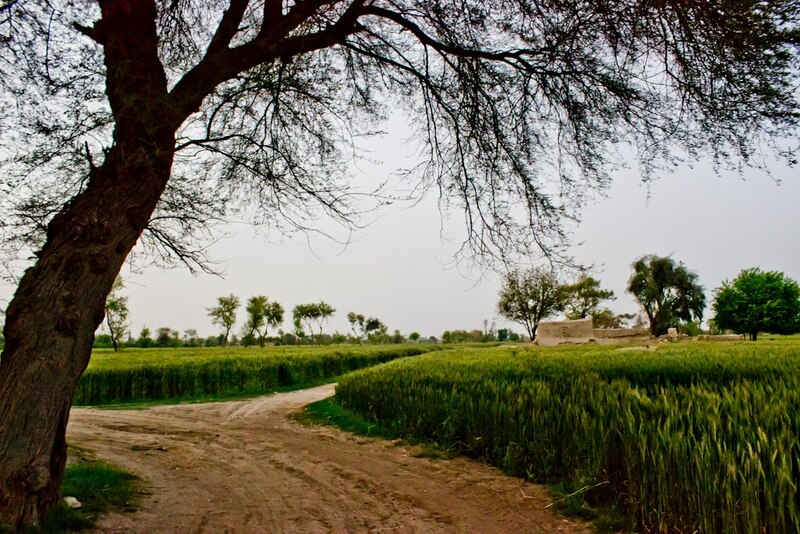 No wonder, the village life is simple, divine and beautiful. “Meri myeen mersery koloon vi bohti sohnrhin ai”. My buffalo is more beautiful than a Mercedes Benz car. Except their pitch black colour, a buffalo and the Mercedes have nothing in common, yet this comment by a villager proud of his buffalo shows how intensely love the villagers their beafstock. Innocence at play: A village lad driving wheel in a moonlit night. Serenity, moon and a blissful enjoyment. 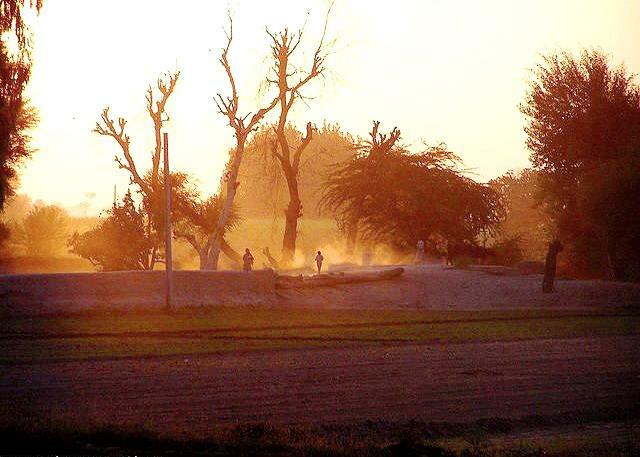 Wintry evenings in rural Punjab have their romanticism like nowhere else. Special winter recipes like Gajar-da-halwa and dry fruits like pea-and pine-nuts are most popular. 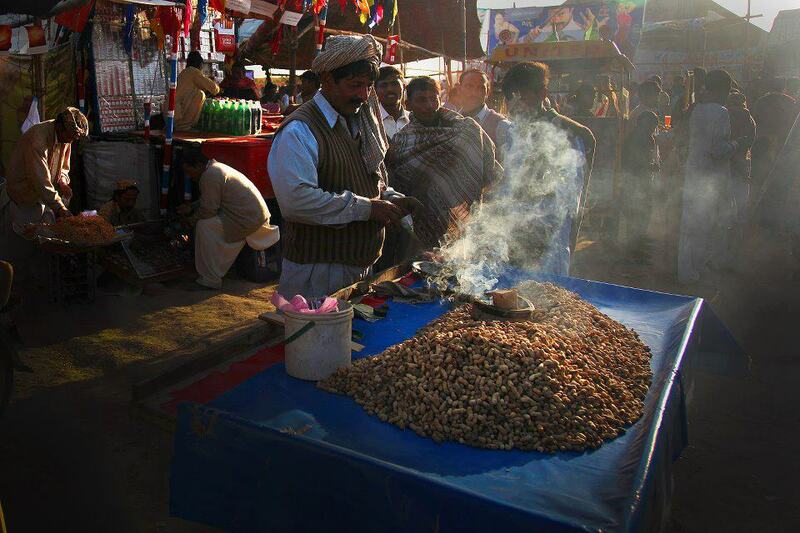 Along with a familiar chant of “Garam Aanday” (hot boiled eggs) you frequently come across hand push carts selling Moong phallies and the Chilghozas, (as in image above). 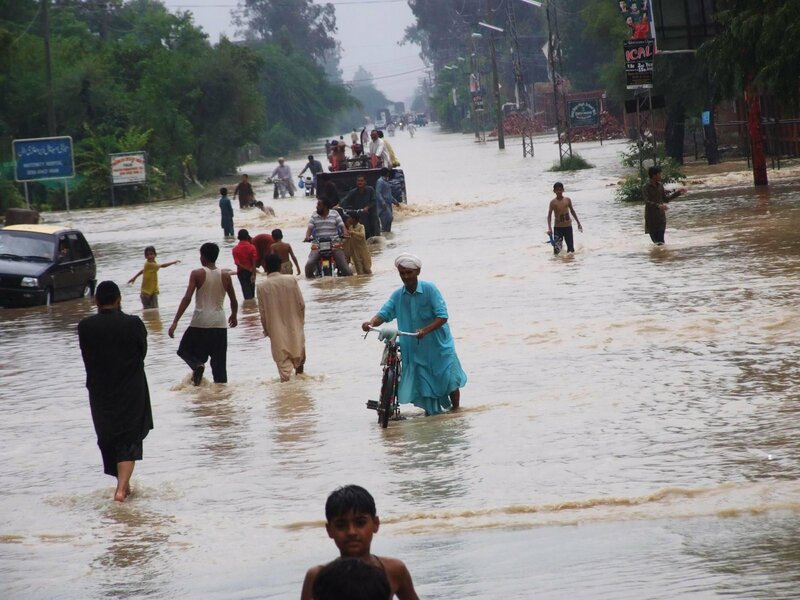 As elections are soon to come in Pakistan (they are scheduled to be held sometime early next year), such scenes will be a common feature on every turn of a street or a chowk. This one is from a previous election. 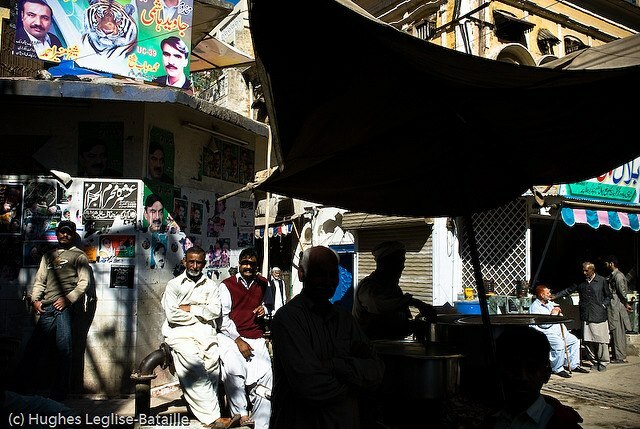 You can see the posters carrying pictures of former Senator Jawed Hashmi and two of his opponents. Note: As always, click the individual image to view in full size. where there is a lot of fun. 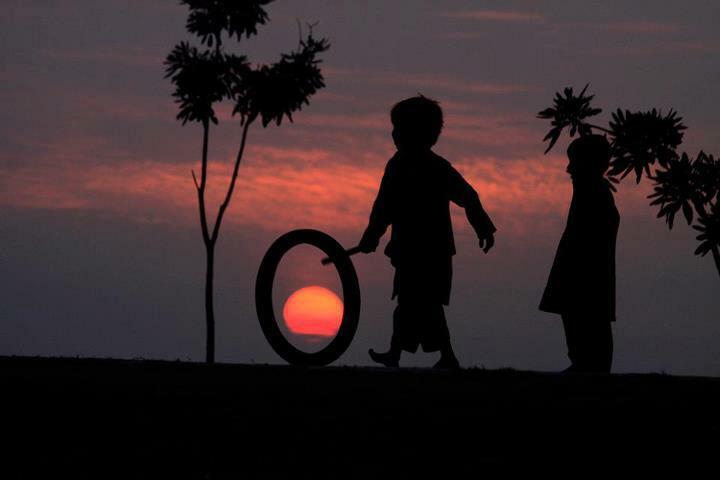 the picture shows the beautiful corners of our lives. You have provided a very nice picture, expect the next exciting to share.